A year ago Pokémon Go launched, Niantic game fever hit the world last summer with millions of users. Now, the mobile app is a year old, and as expected through reports, its creators have released a special version of Pikachu to celebrate their first anniversary, a Pikachu with Ash cap. The mobile game received an update just a few days ago, in which the gyms were changed, and some developments and innovations like Pokémon incursions were added, for example. After a year they have released a special version of Pikachu with Ash Ketchum cap to celebrate. 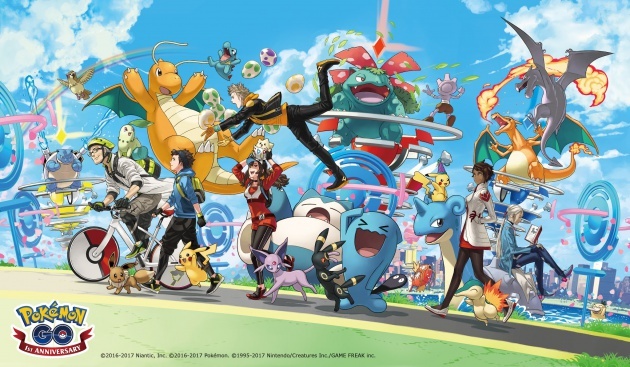 As they explain from the game, in this year gamers have captured more than 125 million Pokémon. Now the gyms are refreshed, and you can participate with friends in the raids but the birthday gift of Pokémon Go is the new Pikachu, which will be available in the game From July 6 (today) at 1 PM. PDT (9PM UK) until July 24 at 1PM PDT. A few weeks ago it was rumored that a new Pikachu would arrive on the first anniversary of the game and is already something officially confirmed by Niantic. There will be no different Pikachus but all the Pikachus you find in the game will wear the famous hat of Ash, the best-known Pokémon trainer of all time. In addition to the Pikachu with a cap, Niantic has announced a Special Anniversary Box Limited Edition to celebrate the anniversary of Pokémon Go. The special birthday box will include incubators, max reanimations, ultra balls and a raid pass with a discount at the game store.